Clubs/CSA > Club Membership " Color Club"
The membership is geared towards knitters, Crocheters, and weavers alike. With this membership, you will receive 4 Skeins of yarn each month for 4 months. Yarn will be 100 % BLF 2 ply DK and 260yards. 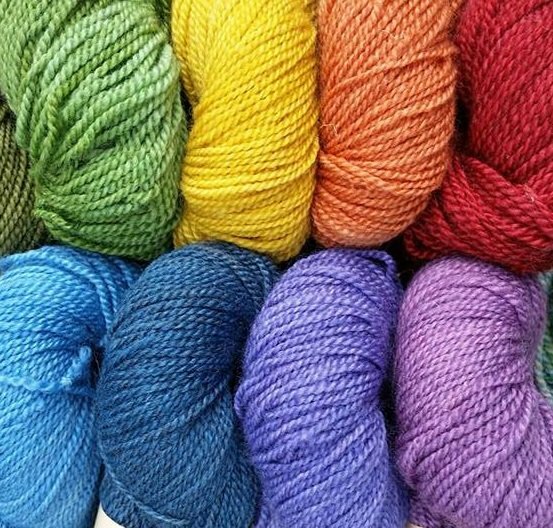 The "Color Club' will consist of yarn that has been dyed with 100% natural material such as beets, indigo, Red cabbage, pokeberries, walnuts and even mushrooms. We will include an explanation of the materials used to get the color and technique as well. Each skein that you get over the 4 months will be dyed using a different natural dye so you can work with each skein as you receive it or wait until you have all 4 and make a large project. Shipping of the last 3 months is free!